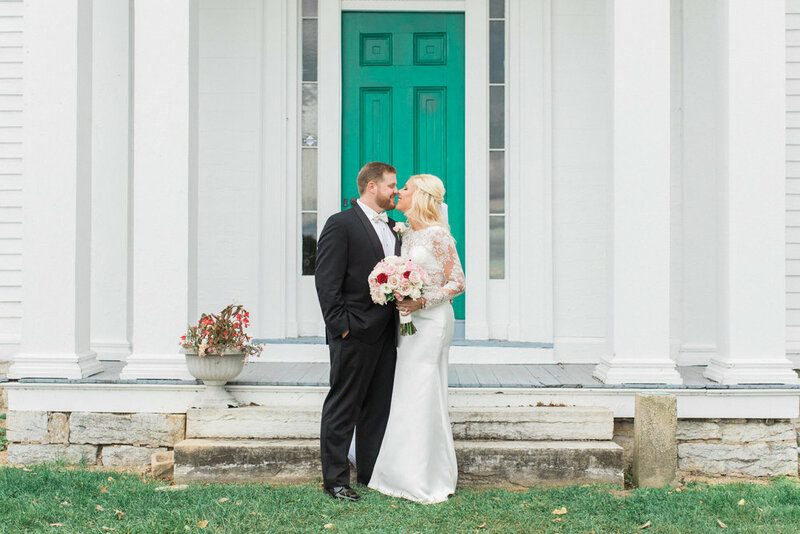 We are SO happy we chose Jeff & Michele to capture our big day. Not only are they excellent at what they do, but they're such a beautiful couple & so easy to be around and to work with. We told them we wanted lots of candid shots on the day - 'where we don't know we're being photographed' - and they really delivered. All the important moments are there; even some gems that we couldn't remember until we looked back through the photos! They were in all the right places at the right time & they worked hard to capture absolutely everything, without ever being in the way - they just blended into the day seamlessly. The quality of the photos is brilliant, from the standard family/bridal/wedding party shots to the moment- by-moment shots at the reception. 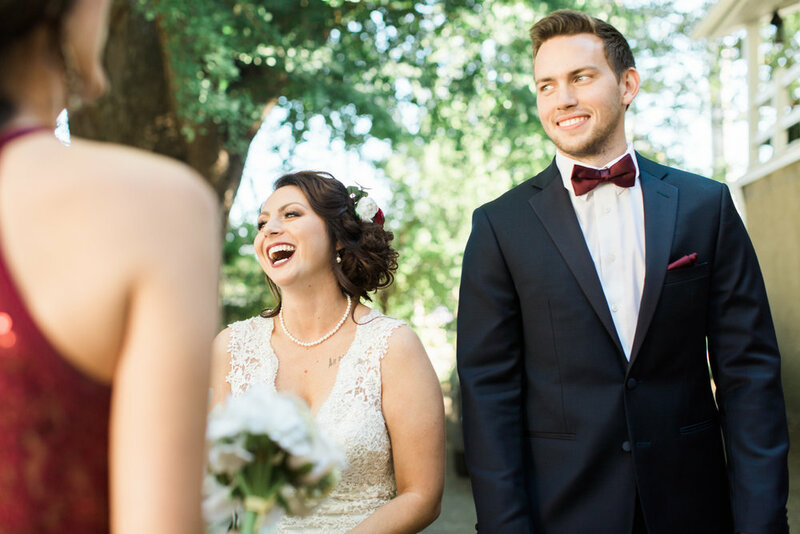 We had an absolute blast at our wedding & loved having Jeff & Michele there with us to document it so beautifully. We would recommend them in a heartbeat. Words can not describe the amazing experience you will have with Jeff and Michele as your photographers! The TL:DR Jeff and Michele are a married couple who produce high quality, fine art wedding photos! They both have lovely and amazing personalities that immediately put you at ease when they’re behind the camera. Both of them were able to capture all of our precious moments on our big day! Months after our wedding Jeff and Michele have genuinely become close friends not just vendors! Now to the details! When searching for photographers for our engagements pictures I created a spreadsheet of about 15 photographers who we wanted to meet. We reached out to about half to them in one night; Jeff and Michelle were the only ones to reach back out to us that very same night! In fact, called within minutes of filling out an inquiry! We talked on the phone for about an hour and set up a meeting for the very next day! During our meeting we talked for hours and at the end of the night we had fallen in love with their talented work, personalities, and passion! We threw away our spreadsheet and went home feeling like our most important day was in great hands! Being a married couple Jeff and Michele are the PERFECT combination you will want for your engagement and your wedding photos! Since they are more than just co workers they both have invested interest in making both the guys and girls look their best. They are able to personally get close to show you how to pose and look avoid photo faux pas! For our wedding Jeff was able to go with the guys, while Michele went to photograph the girls. During the wedding ceremony Michele covered the from of church view, while Jeff snapped pictures from the back. We took pictures downtown where they both followed us and found the perfect stop, on the spot! And during the reception they were there to capture every moment we requested plus more! 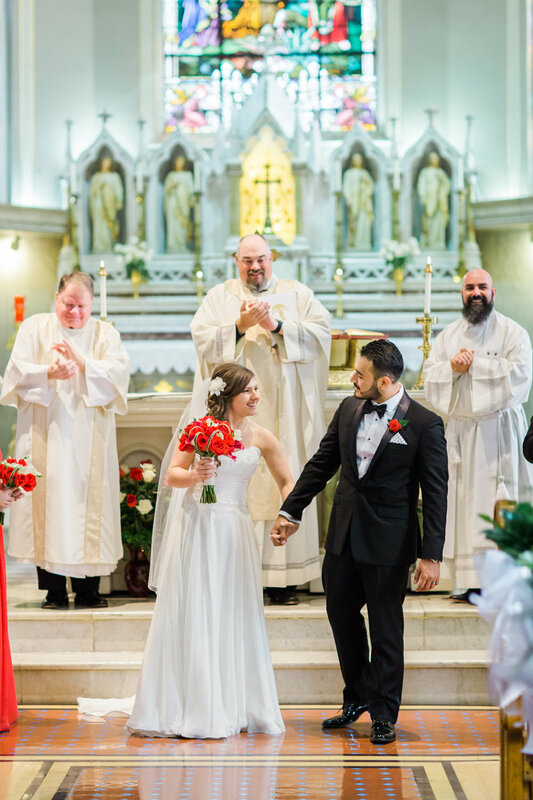 We received our photos fairly quickly and they even sent us a photo every once in a while as sneak peaks! When we received our photos, we invited them over and they gave us a gorgeous flash drive with more photos than expected!! The range of emotions we had while flipping through our pictures was amazing. They both have created something we will cherish throughout our whole marriage! We loved their work so much that I'm willing to give a personal reference! 812-302-2027! Struggling to find the words to express how grateful we are to have found Jeff and Michele. On a day that can be one of the most stressful of your life, Jeff and Michele are definitely the calm during the storm. They are easy going, fun, and absolutely amazing at what they do.They are seasoned professionals, and capture even the most minute details. We are so blessed to have crossed paths with Jeff and Michele. They are as genuine as it comes and would bend over backwards to get a good shot if that’s what it took! ;) Highly, highly recommend!!! The most important thing to me during the wedding process was having good photography. Jeff and Michele are both very sweet and were a joy to work with, they make you feel comfortable around them immediately. I am not a fan of posey pictures (even though I requested a lot of those) I am more drawn to the candid photos they were able to capture throughout the day, photos I didn’t even see them capture because they are so good at being sneaky and staying out of the way. Their work is unbelievable and you will definitely not regret picking these two. Jeff and Michele were amazing from day one! If we needed anything at all they'd bend over backwards to help. Not only did they take stunning wedding & engagement photos, but they captured the most special and genuine moments in our lives. They're great to work with and are so easy to talk to we are so blessed to have them as our wedding photographers. We love you guys! Jeff and Michele are truly THE BEST wedding photographers that we could have asked for. Photography was one of the most important things to us when planning our wedding. Anyone can take pictures, but not everyone can capture the emotions of joy and love we would experience on our wedding day. Jeff and Michele did just that and more with their beautiful photos. Not only did they take stunning, posed photos, but they captured genuine expressions and moments from our wedding day that we will cherish forever. (i.e. the smile on my face when my mom was buttoning up my dress and the tears in my husband's eyes as I walked down the aisle. Jeff and Michele were easy to talk to and FUN! After meeting them, we knew no one else could capture our wedding as well as they could. One thing we were initially worried about with photographers and had seen at other weddings was distracting and "in your face" photographers. We wanted the photographers to capture our wedding day, but also not distract or take away from the important moments. Jeff and Michele were so discreet and respectful. You would have never have known they were taking all these beautiful photos and capturing every precious moment. Jeff and Michele were so easy to work with. They helped us pose in photos to help us look our best. They were patient. They graciously agreed to take photos we requested. They even helped keep us calm and reassure us in times of stress and anxiety. We truly could not have asked for better wedding photographers. 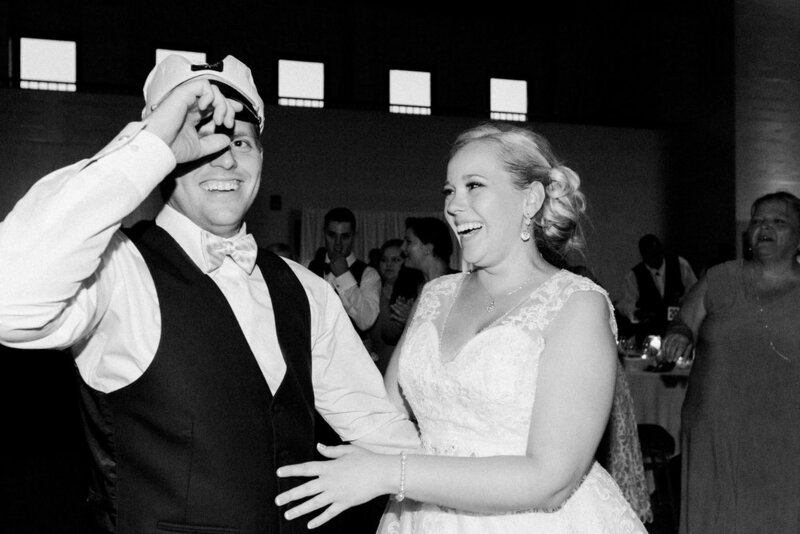 Jeff and Michele captured every moment, every emotion, and every memory we wanted from our wedding day. We will truly cherish the beautiful photos they took of the most important and special day of our lives. We highly recommend them and look forward to working with them both again for all future photography needs. Thank you Jeff and Michele!